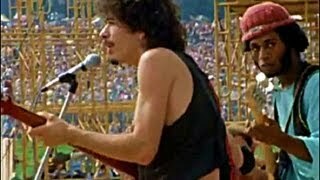 Santana - Evil Ways 1969 .Woodstock. Live Video Sound HQ Santana - Evil Ways (Album 1969) Live from Woodstock Music Festival 1969, New York USA. Recently, Carlos Santana said, "We play Black Music for White People." I always thought his song Evil Ways, Baby (Woodstock 69) that launched his career, was Latin rock, but I was wrong; not about the Latin part, wrong because it is not his song. Besides, Woodstock is about bringing people together, not dividing them into musical genres. The real author, Sonny Henry, a brilliant jazz guitarist, wrote and recorded the song. I cannot find a single photo of him. His story, however, is amazing. Imagine: a young black boy, 15 years old, imprisoned in 1947 in New York City, for second degree manslaughter, and writes (after ten years in a jail cell) You've Got to Change Your Evil Ways, Baby. When he got out, he recorded it in 1967 with Latin Jazz Musician, Willi Bobo. Give Santana credit; in 1969, he made Sonny's song a cult classic and got full fame. Sonny Henry had to sue Santana in 1976 to get credit. So I suppose Evil Ways could be black, or Afro Latin music, since the author is black. But Santana's other musical claim to fame, Black Magic Woman, was written by Peter Green, a founding member of Fleetwood Mac. He is as lily white a blues singer as you can find. And British, to boot. Also, the lead singer for Santana's version of both Evil Way s and Black Magic Woman is Greg Rolie, a founder of the band Journey (the power ballad band known for high-flying falsettos). That's as lily white an American band you will find. Everything is not black and white. Santana should know; he sued Budweiser, once, King of Beers, for playing his arrangement of Sonny's song. Still, Santana, a Tijuana transplant real deal, is one of my favorite guitarists, no matter how he wants to identify. Sonny, on the other hand, went on to play for Dizzy Gillespie, the jazz musician great, and many others, from Michigan to California, but never hit it big. In 75, he applied for disability in NYC, but was denied. On May 10, 1997, he died in the Bronx. Little else is known of him. Sonny's story, however, is an inspiration for any kid. Maybe US Rep. AOC will erect a Sonny Henry statue, a boy with a guitar, in the Bronx, and have Alicia Keys sing Empire State of Mind: Concrete Jungle Where Dreams Are Made Of. Almost all great artists steal. Shakespeare, Picasso, Dante, Mozart and that is part of their genius. Take something and make it your own and spread it around freely. Santana should not be ashamed. 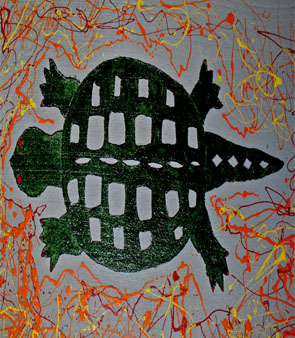 Copywrite laws make it expensive to give credit and so does ego. Santana was in SF in the 60s and absorbed that creative culture and I am so glad he did along with the Dead, The Airplane, Country Joe, Credence et al. Their legacy will live forever. Santana is amazing. No shame at all. I was just thinking about the 15-year old kid in his jail cell. SOMEBODY must have a photo of Sonny Henry, considering all the greats he played with.